If the quality of the camera (i.e. the megapixels) (assume to be $x$) of the camera is known and an object is kept a known distance from the camera (assume to be $d$), can the actual width and length of the object be determined? Yes it can, if you know the focal length as well. Assume that the focal length is $f$ and the distance from lens to object is $d$. which in most practical situations will be a "minification" (i.e. $d \gt f'$). and similarly for the height. Now the size of the pixels can usually be derived from the sensor type. 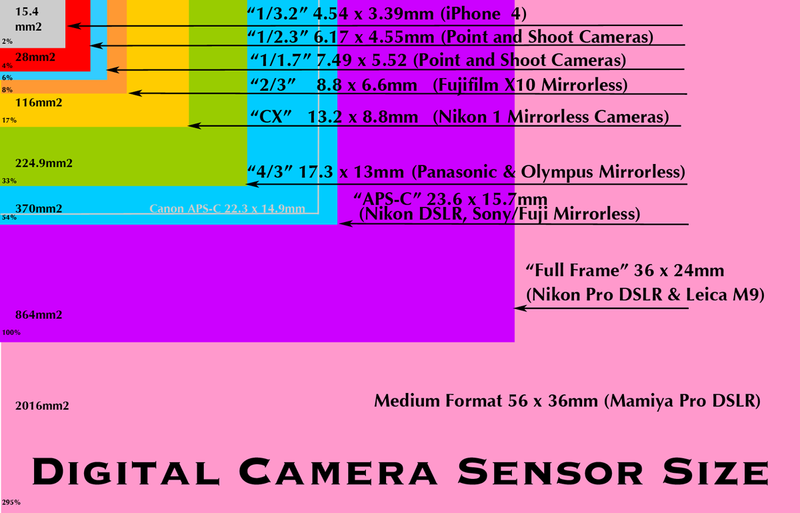 It is not quite enough to know you have a "12 Mpix" camera, as sensors come in (many) different sizes. Typically the best cameras have the largest sensors (and large lenses). To complicate matters further, some camera manufacturers will quote the focal length of the lens in "equivalent for 35 mm" (especially for super zoom cameras with "1200 mm" telephoto capability). But that is going a bit off topic perhaps. 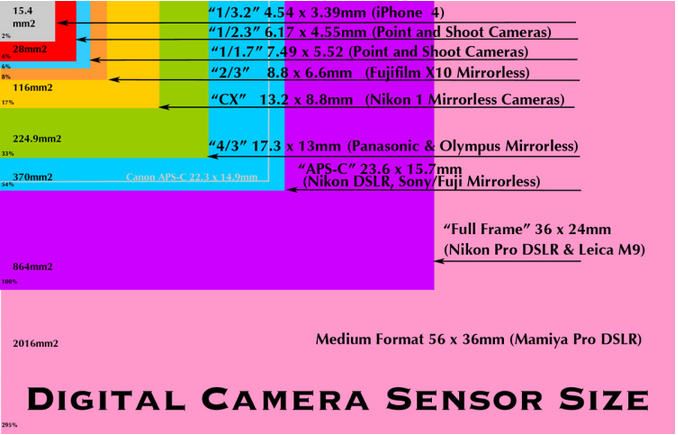 See https://mattsassamatt.files.wordpress.com/2011/09/sensor-size7.png for a chart (somewhat out of date) of different sensor sizes, from which you can calculate the parameter $p$ I used above. Let me know if you have enough information here. Not the answer you're looking for? Browse other questions tagged homework-and-exercises optics lenses camera or ask your own question. Can I calculate the size of a real object by just looking at the picture taken by a Camera? Is it possible to calculate the dimensions of ANY object in a picture having at some known distance an object on know dimensions? How to draw a ray diagram from focal length, object and image heights? Given a size of a known object in the image, how can we calculate the size of other objects in the same image?